SBC is working with businesses to identify how to get a better understanding of consumer behaviour and how to interact with consumers in a credible way. SBC's early work on consumer decision-making shows that consumers want business to make it easy for them to do the right thing. And it indicated that if businesses want to build trust, they must tell an authentic story. To build on these insights, SBC has curated a series of events to showcase the latest research on consumer behaviour and trends in New Zealand. We have heard from a wide range of experts, who've challenged our assumptions about what consumers are thinking and doing in 2017. SBC research and guest speakers have told us trust is the most important driver of reputation. It can be built if companies focus on transparency, credibility and reliability. They warned us that companies lose trust if customers think they are pushing their own agenda, over the interests of consumers. We also learnt about the difference in consumer attitudes between generations. Millennials (also known as Generation Y) expect businesses to be more transparent on issues like sustainability and the treatment of their staff and communities. 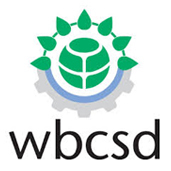 SBC has developed a New Zealand version of the World Business Council for Sustainable Development's 'Good Life 2.0' playbook. We want to use this ground-breaking document to help New Zealand businesses inspire their customers to live a life that is more sustainable and rewarding. The playbook is not designed to help companies sell sustainability measures or products – but rather rethink the picture of the world they paint in their advertising. Efficiency gains and technological advances alone won't be enough to bring consumption to a sustainable level. Changes will be needed to consumer lifestyles including the way consumers chose and use products and services.